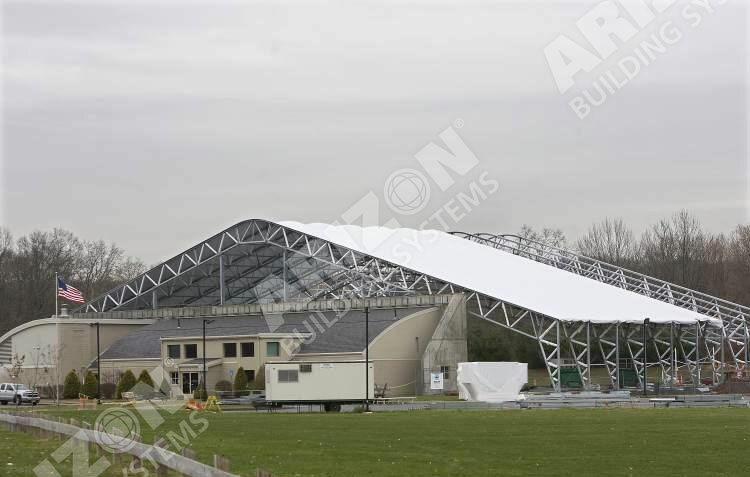 Arizon’s Frame Structures are designed to stand up to the harshest weather conditions and can be permitted as permanent or temporary structures, depending on your requirements. 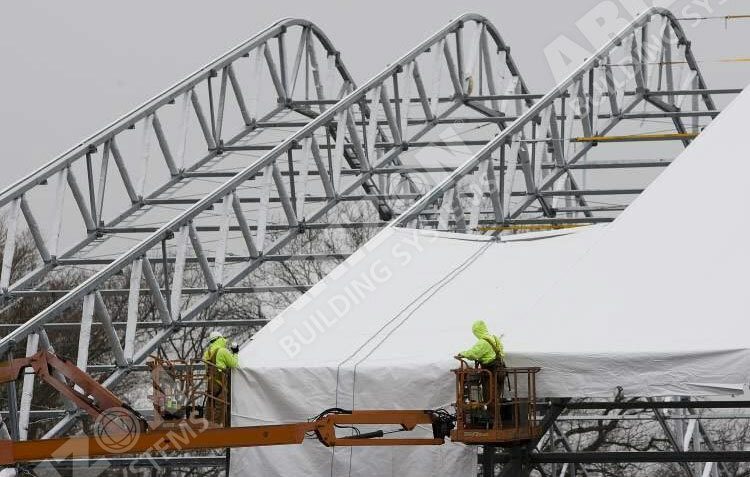 Rapid installation with limited site work and foundation requirements- no concrete slab necessary. A frame system that allows for the addition of fans and vents, window and door systems that bring abundant outside air into the structure as desired, yet seal the system completely in harsh weather conditions. 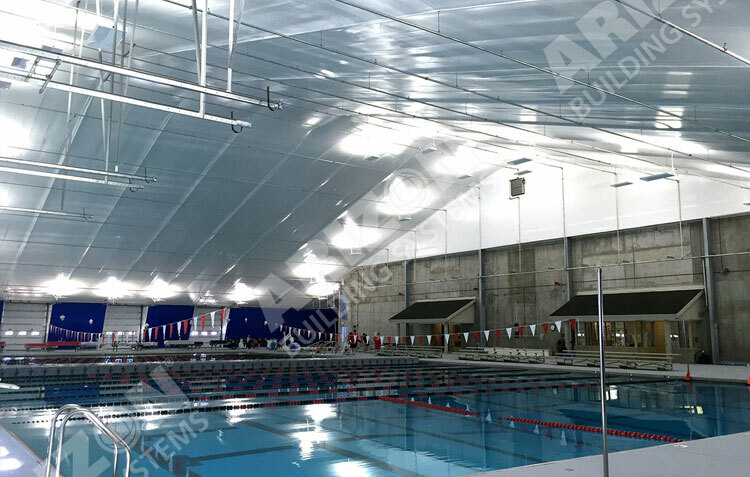 A translucent fabric roof system that allows natural light into the structure, avoiding the use of electrical lighting in daytime hours. A perimeter facade Security Wall System that helps prevent vandalism and accidental damage to the sidewalls of the structure. A custom designed HVAC system manufactured by Arizon Structures.